In this guide we’re going to show you how you can watch the ATP World Tour Finals 2017 live online from anywhere in the world. The ATP Finals come to London between the 12th and 19th November 2017 and if you’re outside the UK and wanting to watch the action your options can be limited. Some countries aren’t even showing the tennis tournament and others only show it on expensive subscription-only TV networks. If you’re a British expat, someone travelling abroad or you just want to access an official English-language commentary stream of the ATP World Tour Finals 2017 – London then read below where we’ll show you the quickest and easiest method to do so. The ATP World Tour Finals 2017 are being shown live online in the UK by the BBC network. If you’re in the UK you can simply head over to the online TV service the BBC iPlayer and you’ll be able to stream all the tennis action without issue. If you’re outside the UK and you try to watch you’ll be stopped with a message that looks a little bit like this. The reason you’re blocked is because you’re outside the UK and the stream is intended only to be broadcast to those in the UK. The good news is all you need to watch anywhere in the world is a small app called a VPN. A VPN allows you to hide your online location and change it to another country. In the case of watching the ATP World Tour, you can use the VPN app to change your online location to the UK and then watch on BBC iPlayer as if you were physically in the UK. Just follow the 5 simple steps below which show you how to get a VPN and how easy it is to use to watch the tennis tournament anywhere in the world. 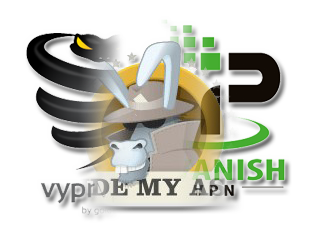 Visit the VPN provider IPVanish and sign-up by clicking here. Install the app, run it and login when requested. It takes about 30 seconds for the app to make connection. Once it has connected all you need to do is head over to the BBC Sport website when the ATP World Tour finals are being shown and you’ll be able to access all the live coverage and any catch-up shows. If you think the VPN app will be too hard for you to use or you’re struggling to find the correct options, take a look at the two example images below that show you just how easy it is. When you’ve finished watching all you need to do is press Disconnect. You can reconnect at any time which will let you watch the entire ATP World Tour Finals. You’ll also be able to use it to watch other TV and Sports from around the world as long as you have a valid subscription to the IPVanish service. You may need to try a few different servers before you find one that works. For example, under the “Best City” section you can specify the city to connect to. If you’ve connected and BBC iPlayer is still saying you’re outside the UK then you should change Best City to a specific city, for example, Liverpool or Glasgow. 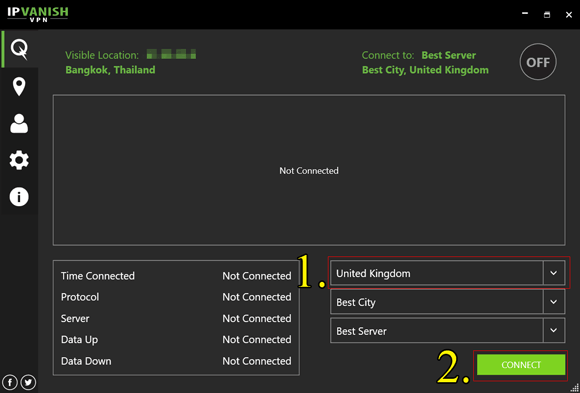 If you still have issues then under Best Server you should try selecting a few different servers. This will resolve the issue. Remember to quit your web-browser between each try. There are thousands of VPN services out there and it can be difficult knowing which is best to choose. 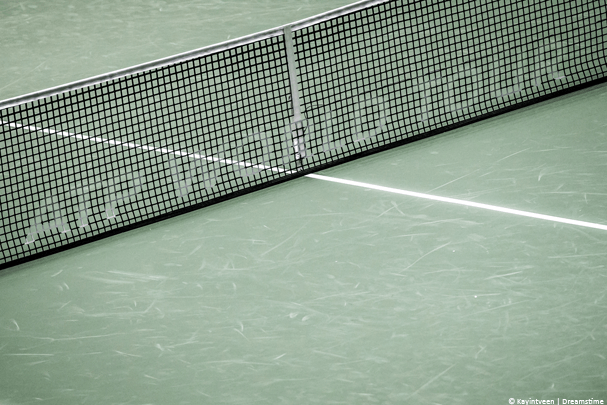 Through our extensive testing, we’ve found IPVanish to offer the best speeds which should allow you to stream all the tennis action without any buffering. They’ve won our Editor’s Choice award two years running so it isn’t without good reason that we recommend them. All three work in exactly the same way as IPVanish. The only difference being is that their app will look a little bit different in its layout. It’s worth remembering that not all VPN services are suitable to watch the ATP World Tour because the BBC who stream the tournament block access. You’ll need to stick with either IPVanish or one of the three above to be guaranteed to work. Remember, all you need to watch the entire ATP World Tour tournament is to get yourself a VPN using the button below and by following the instructions earlier in this guide.